actions to a worldwide audience. But this triple save isn’t the only reason Ryan is a Star of Life. He is one of the best field training officers at his operation. 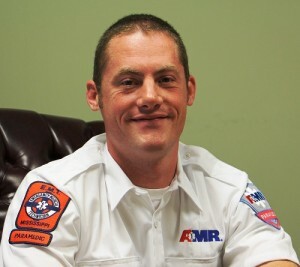 He and his partner placed second in AMR’s southern regional competition on clinical and safety skills, plus the Mississippi EMT Association named Ryan the statewide 2015 Paramedic of the Year. For his FTO talents, superior patient care and leadership ability, he was promoted to clinical manager late last year. Ryan and his wife, an emergency nurse, stay busy with their five children. AMR Mississippi is proud to nominate Ryan Wilson as an American Ambulance Association 2016 Star of Life.